Far approximately 110km from Nha Trang, Whale Island, also known as Hon Ong Island is situated in Van Phong Bay, Van Thanh commune, Van Ninh district, Khanh Hoa province. Here, tourists seem to be escaped from the stifling atmosphere of the daily urban life in order to soak up the peaceful natural surroundings. To get Whale Island, tourists have land on Dam Mon Pier to take a boat to the island. 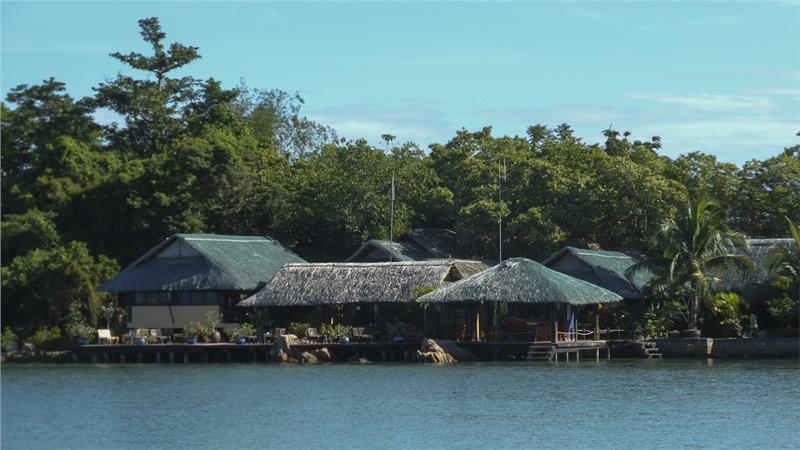 Setting foot in Whale Island Resort, choosing a petite bungalow overlooking the windy blue sea to rest for a moment, tourists will depart their journey to discover the wild beauty of wonderful rendezvous. Hon Ong Island is one of the unspoiled and wonderful tourist attractions in Nha Trang alluring both domestic and international tourists. 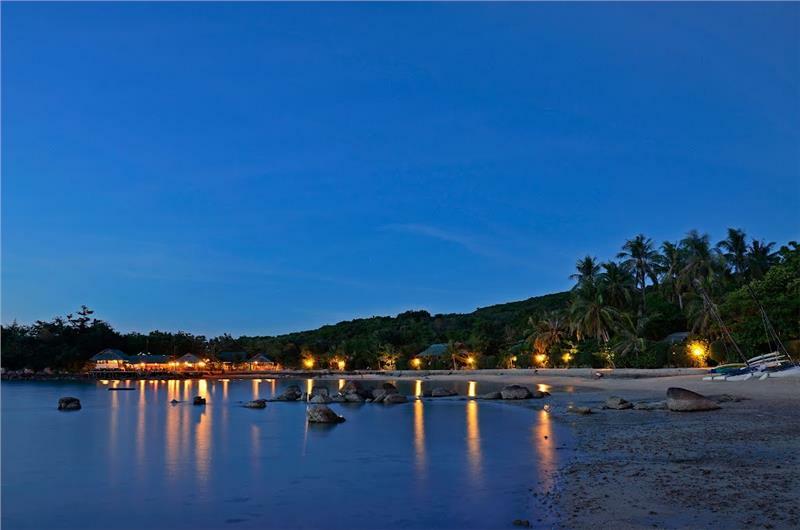 As one of the attractive islands in Nha Trang, Whale Island has retained the untouched beauty with fine white sands adjacent pure blue beachfront. In particular, beach in Whale Island is extremely fresh and clean, tourists can admire shoals of fish freely swimming under the blue waters. Surrounding Hon Ong Island is the fence with buoy which is strung on the sea. The buoy fence was erected to prevent the fishing and protect marine ecosystems with the aim of preserving the pristine beauty for the resort. Tourists will also find ease to catch the natural "fence" on shore. They are lush green coconut groves running along the beach. Swimming in Whale Island is one of the indispensable things to do in Nha Trang for both tourists at home and abroad. The sea water at Hon Ong Island is extremely fresh, blue and calm. Pristine white sand shores along with shady coconut groves create the pleasant feelings for the relaxation of tourists. Tourists also take the panoramic view of bungalows flickering among the green canopy from afar which are adapted from the house in the mountains, just a few steps from the sea. There are about 32 operating rooms in bungalows always welcoming tourists. Hon Ong Island is actually a true relaxation paradise thanks to the harmonious combination among the blue sea water, windswept sky and fluffy white clouds. It will make any tourists forget the chaos to soak up the beautiful nature. All are specially protected in the unique ecological zone. Especially, after visiting woods, tourists should go to the sea to participate in some sports such as sailboat or windsurfing... As an island with a relatively small area, all the fun activities in Hon Ong Island take place on the main beach. Tourists can also discover the amazing beauty of the island by walking or scuba diving to explore the island. 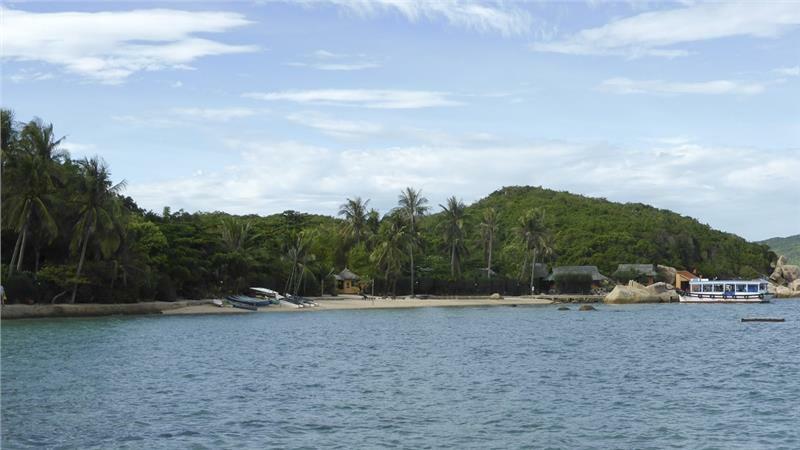 Hon Ong Island is worth the wonderful attraction in Nha Trang. Spending the time at Hon Ong Island at night, tourists can participate in scuba diving to explore the infinite diversity of marine life here. It will be a completely different ocean world compared to the terrestrial scenery of Hon Ong Island. 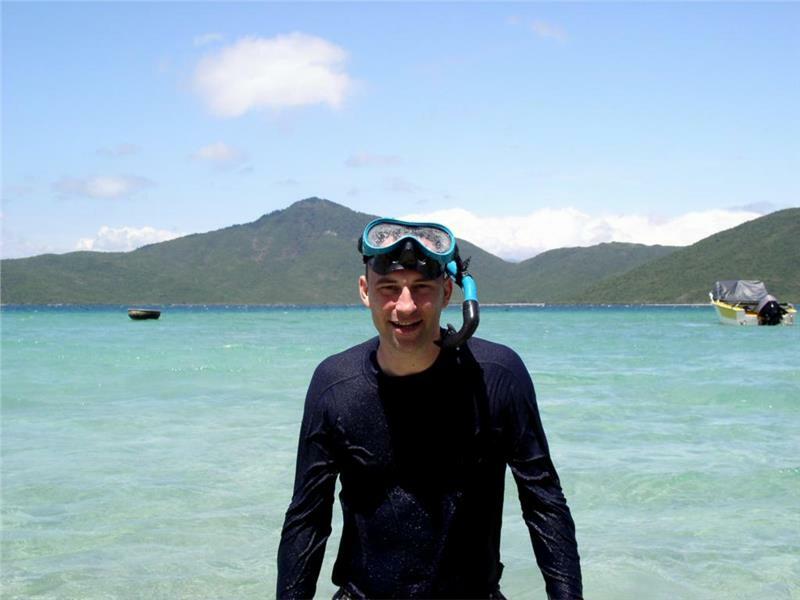 Diving 3 - 12m deep to explore the marine creatures such as seahorses, cuttlefish, sea snails, crabs, shrimp, stingrays... when they just got out of the reef after a long day of hiding actually leaves an unforgettable impression for tourists in the journey of conquering Nha Trang travel. Peaceful scenery in Whale Island will be extremely ideal for tourists who truly would like to find the sense of complete relaxation after stressful working days. It seemly helps them escape the hustle of the urban life. Going to Hon Ong Island, tourists not only admire magnificent natural landscapes but also are immersed right in the wonderful life. 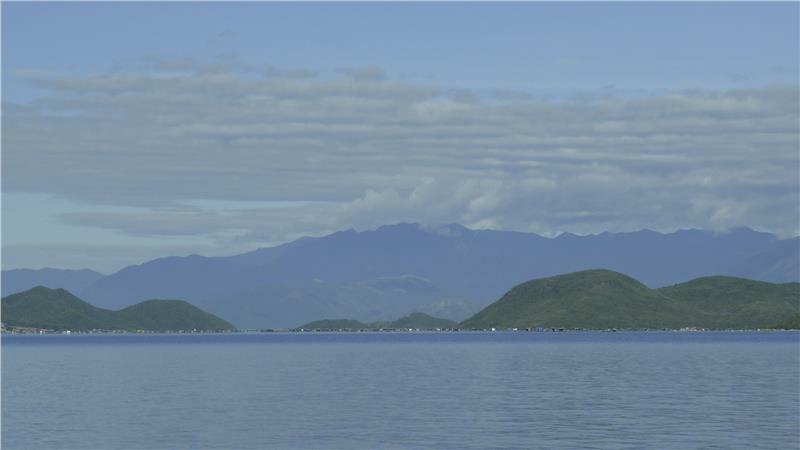 As one of the most appealing attractions in Nha Trang, Hon Ong Island significantly contributes to promote Nha Trang tourism to international friends.